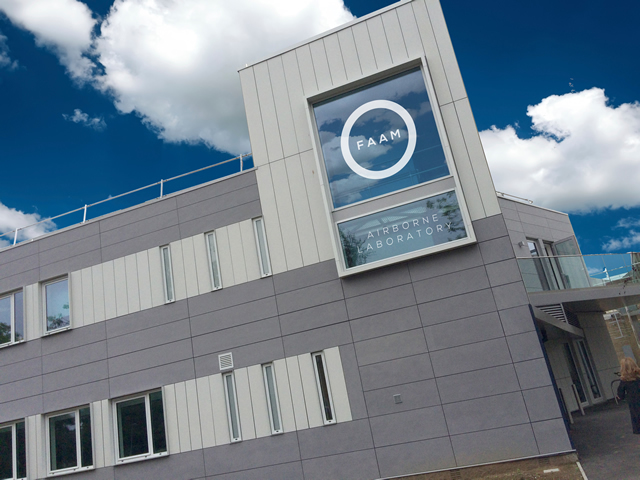 The FAAM aircraft, mission control and science planning team is based at Cranfield airfield and University in Bedfordshire. If you would like to visit the FAAM headquarters, you will need to make prior arrangements with a member of the operational team. Our facility is regulated by the CAA, so we have procedures and guidelines in place to make sure your visit is safe and productive. Use the menu on the left to navigate through everything you’ll need to know when visiting FAAM. Alternatively, you can download our quick guide here.